The promo sheet aroused my interest in Yuji Oniki's music with comparisons to both "the poptopic dimensions of Burt Bacharach", and the "sonic landscapes reminiscent of Brian Eno's Before And After Science". Now there's a mix for you. I'm not sure about the Eno analogy, and the Bacharach influence is certainly there in spots, but Yuki Oniki's music really struck me as a cool set of slow-paced 60's/early 70's styled pop songs reminiscent of Simon & Garfunkel, Lobo, and even the Monkees in their lighter moments (sure, they had some rockin' tunes!). The Bacharach elements are present in "Tokyo Clover" and "Amnesiascape", mostly due to the horns. And "Amnesiascape" has cool 'dum-da-dooby-dooby' harmonies. "Houston" is similar, having a 60's pop feel that appeals to me having spent my formative years in that era and remembering all the songs and various styles that were popular at the time. "Paper Tiger" sounds like a bouncy XTC song. But my favorites were the tunes with the slow guitar leads like "Elements", "Tomorrow Stays", and "Blink". 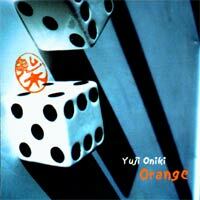 In summary, Yuji Oniki can write a song, and I've little doubt that he could have been a hit maker in the 60's. Simple, maybe a hint of bubblegum, but you can't escape those catchy lilting melodies and production that recalls an older sound. And there's just enough of a flower power psych element to the music that AI readers who appreciate this style of pop may well dig this disc. For more information you can visit the Future Farmer web site. Contact via snail mail at PO Box 225128; San Francisco, CA 94122.